John Lewis and Heathrow Airport bring dogs and stuffed animals for the holiday season. The holidays are approaching and ad campaigns have already slid down the chimney, eaten all of our cookies and left us with presents. The brands that saw the highest engagement on social media this week, like John Lewis and Heathrow Airport, went straight to the heart with cute animals and themes about family. Others, like Lowe’s and Bank of America, connected with posts showing support of the armed forces and Veterans Day, Nov. 11. This short Instagram clip, which generated 39,700 views and 650 comments, introduces the lovable character of John Lewis' 2016 Christmas campaign, a Boxer named Buster. In the full 2:10 spot, a father builds a trampoline as a surprise for his daughter on Christmas morning. During the night, Buster jealously watches as a couple of foxes and a badger bounce on the gift, but as soon as he is let outside the following morning, he sprints past the little girl to be the first to bounce. To read more about John Lewis' newest Christmas ad, created by Adam & Eve/DDB, click here. 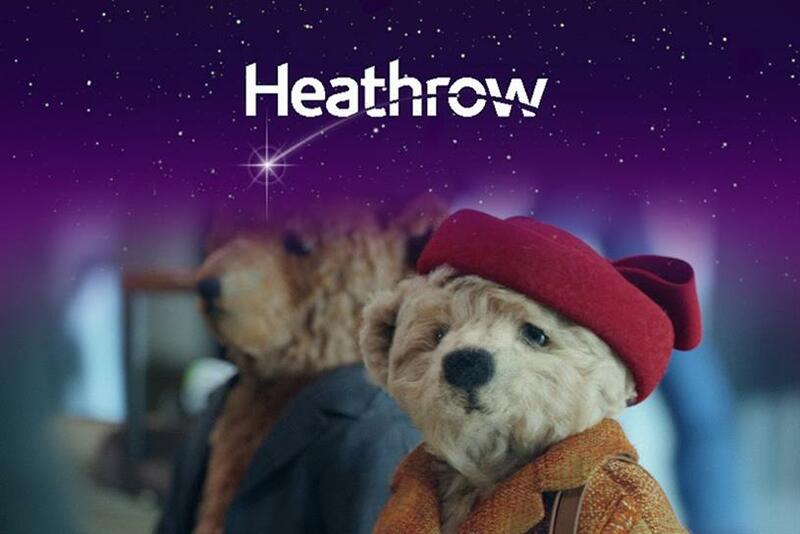 In a tweet that received 1,300 likes and 934 retweets, Heathrow Airport shared its charming holiday ad featuring two teddy bear travelers. The 1:10 spot follows the couple as it makes its way from the plane, through immigration, baggage claim and finally to the family waiting for its arrival. Chas and Dave provide the soundtrack. The ad, from Havas Worldwide, is part of Heathrow Airport’s 70th anniversary campaign. In honor of Veterans Day, Lowe's posted a photo on Facebook of retired Army Col. Don Collins who fought for America for 32 years and now works at Lowe's. The post links out to a story on the brand's website about how he has donated every penny of his paychecks to veteran and cancer research organizations for the past six years. The post received 91,000 reactions, 9,095 shares and 2,400 comments. In a Facebook post that received 133,000 reactions, 18,000 shares and 4,300 comments, Bank of America celebrated the 241st birthday of the US Marine Corps. On Nov. 10, the day before Veterans Day, the bank posted a "Happy Birthday" message with a photo of a marine with the date the branch of the armed forces was established. In this Instagram photo that garnered 114,000 likes and 465 comments, Google introduced its virtual reality headset Daydream View, which works with its new Pixel phone. "Immerse yourself in all the things you love," reads the post.